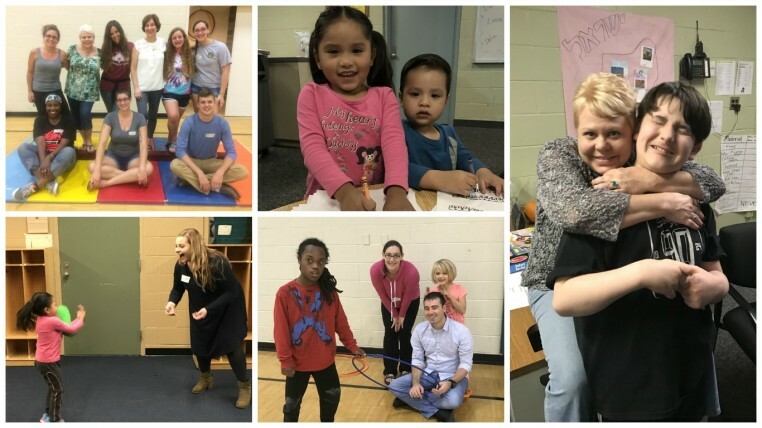 Inclusive Programs (Kochav: Families and Individuals with Special Needs) | Jewish Federation of Greater Indianapolis, Inc. The term kochav in Hebrew means “star;” it is our belief that each of our clients is a star and can reach their maximum potential when given the right tools and support. JFS provides supportive services for persons of all age ranges with special needs and physical disabilities. Our community social workers provide case management to adults with physical, intellectual and/or emotional disabilities, who are in need of assistance with a wide-range of life skills, including everything from finding employment to applying for benefits. Ready for a night out? Enjoy the evening knowing your kids are happy, safe and engaged in meaningful ways with our dedicated staff team, offering a wide-range of activities catered to your children’s needs – with sensory play, music, gym activities, crafts, and more! Siblings are encouraged to join this integrated experience. Check the community calendar for a list of upcoming program dates. Contact Rachel Katz at 317-259-6817 or rkatz@jfgi.org​ with any questions and for more information. 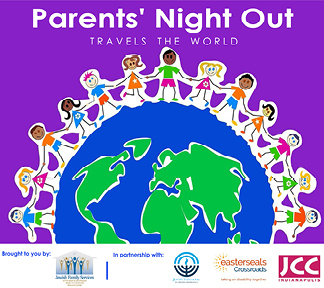 ​Want to volunteer at Parents Night Out? Check out the job description. This program is made possible with the support of Easter Seals Crossroads, the Association of Jewish Family & Children’s Agencies and JCC Indianapolis.